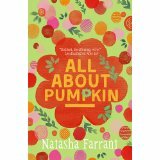 Natasha Farrant has worked in children’s publishing for almost twenty years, running her own literary scouting agency for the past ten. 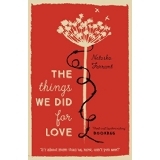 She has written six novels for teens, including the Carnegie long-listed and Branford Boase shortlisted The Things We Did For Love, as well as two successful adult novels. 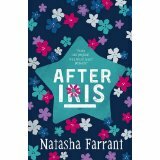 Natasha is is half-French but has lived in London all her life and never wants to leave. She has two teenage daughters, a huge extended family and an enormous tortoiseshell cat on a mission to destroy her house. 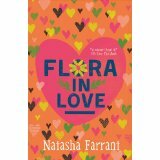 Find her on Twitter @NatashaFarrant1 and on her website. 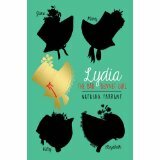 Lydia: The Bad Bennet Girl: Lydia is the youngest Bennet sister and she’s sick of country life. Instead of sewing and reading, she longs for adventure. When a red-coated garrison arrives in Merryton, Lydia’s life turns upside down. As she falls for dashing Wickham, she’s swept into a whirlwind social circle and deposited in a seaside town, Brighton. Sea-bathing, promenades and scandal await – and a pair of intriguing twins. Can Lydia find out what she really wants – and can she get it? After Iris: The Diaries of Bluebell Gadsby (sequels Flora in Love, Following Flora, All About Pumpkin, Time for Jas): ‘Being a combination of conventional diary entries and transcripts of videos shot by the author on the camera she was given for her 13th birthday, and beginning at the end of summer.’ Bluebell Gadsby is 13 but that ‘s the least of her problems. Both her parents seem more interested in their careers than the family, leaving Blue and her three siblings as well as their three pet rats (who may or may not be pregnant), in the care of Zoran the au pair. The enigmatic Joss moves in next door and Blue thinks she might be falling in love, until he takes out her older sister Flora instead (who, incidentally, is trying to make a statement by dying her hair bright pink but no one takes the blindest bit of notice). Blue thinks and feels very deeply about life but can’t really talk to an yone about it, because no one in the Gadsby family wants to address the real problem – that Blue’s twin sister, Iris, died a year ago, and they are all just trying to hide their grief in busyness… So Blue turns to her diary and her unique way of seeing the world through her camcorder to express herself. The Things We Did For Love: France – February, 1944. Arianne knew Luc as a child, of course she did. Everyone in Samaroux knows each other. But he ‘s been away, and five years really makes a difference to a boy. A young man. As they fall headily into love – first love – their world starts to crumble around them. German forces are closing in, and the village is torn between cooperating to save themselves or putting up resistance and entering unknown danger. Arianne will do anything to make Luc stay. Luc wants to prove he is a man. And Romy, who has loved Arianne all the time that Luc has been away, can see a way of removing his rival, at any cost. How far will they go to protect what they believe in? And what will they do for love?